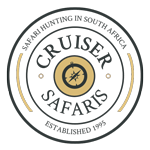 Cruiser Safaris hunting information: Languages of South Africa. South Africa has 11 official languages. English is the language of administration and is spoken throughout the country. The other official languages are: Afrikaans, Ndebele, Northern Sotho, Southern Sotho, Swazi, Tsongo, Tswana, Venda, Xhosa and Zulu. Below are a few words and phrases that have been translated into 3 of the country's official languages. South Africa has 11 official languages. English is the language of administration and is spoken throughout the country. The other official languages are: Afrikaans, Ndebele, Northern Sotho, Southern Sotho, Swazi, Tsongo, Tswana, Venda, Xhosa and Zulu. Scroll down to see a few words and phrases that have been translated into 2 of the country's official languages.